More than 40 million US workers would get a raise if the US minimum wage was raised to $15 an hour. Doing so would do five important things to help the US economy. 1. It would increase the demand for goods and services and create jobs in the process. Currently, we are in the worst post World War II economic expansion in US history, except for the last one, you know, that negative job growth under the economic policies of the worst president in US history, George W. Bush! Outside of that expansion, the current expansion is the worst, with the lowest job growth, the least GNP growth, and lots more historically weak statistics. 2. Every US economic expansion since 1981 has been caused by artificial bubbles which have created artificial stock market bubbles, which have almost completely benefited only the rich, and mostly the super rich, at the expense of everyone else. The Bill Clinton presidency saw the creation of 22 million jobs, which came about because of simultaneous housing, tech, stock and telecommunications bubbles. The tech and telecommunication bubbles were created by Clinton’s signature on legislation. 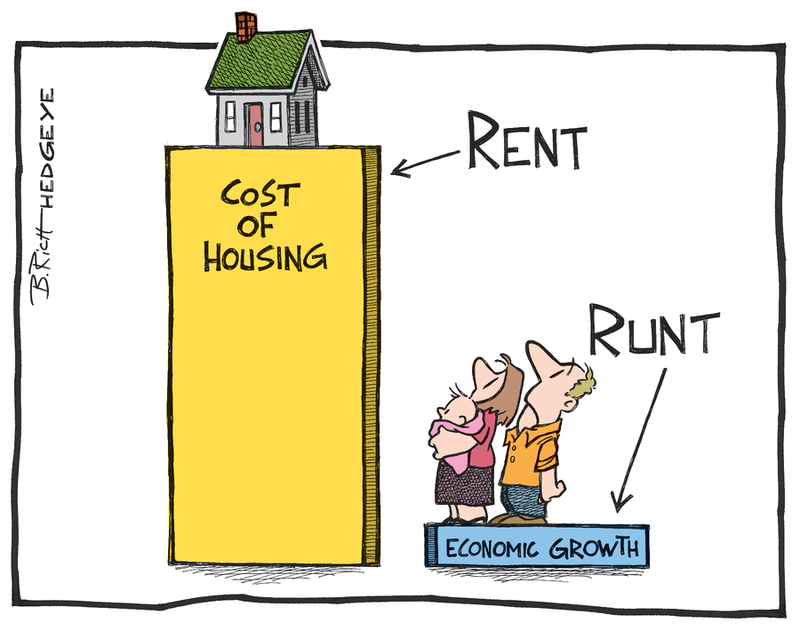 The current economic bubble has been created by an illegal housing bubble created by the big banks. See The fix is In! 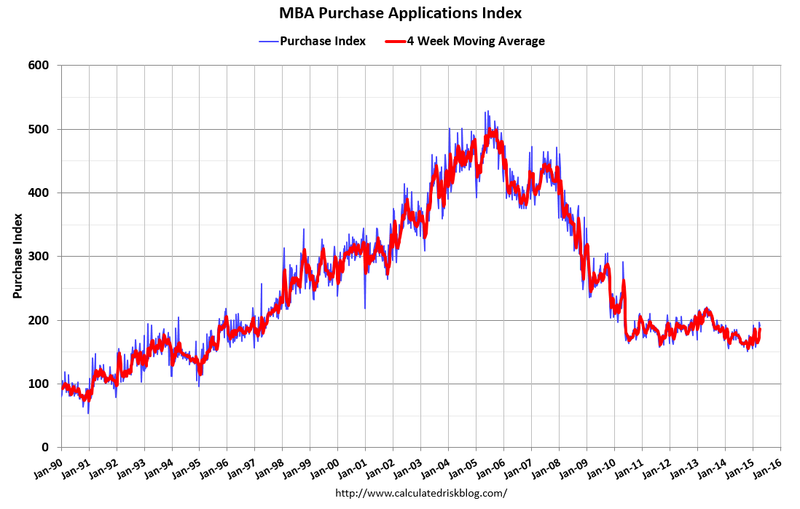 The Banksters are Manipulating the rise in housing prices: Mortgage applications are down for home sales–Johnhively.wordpress.com Raising the minimum wage would create more demand, possibly creating the first demand inspired economic expansion since the Great President Jimmy Carter. 3. Raising the minimum wage to $15 an hour would steer money away from the stock market bubble because it would decrease corporate profits, and perhaps gently deflate the current bubble that is due to burst in a few months anyway. The other option is to allow the bubble to run its course and essentially ruin the US economy like what occurred from 2007 to 2012 and from 1929-1933. The next recession will be worst than the last one, and it’s just around the bend. 4. Income inequality is at an all-time US high with the 1 percent stealing about 37 percent of all income produced in the USA every year compared with only 8 percent in 1980. That means the 99 means we have less money to buy things, while the rich primarily purchase things like stock options, stock, bonds and politicians. This inequality is stifling the demand sector and weakening the economy which is why the US economic expansions since 2000 are the weakest in history. This is, of course, unless, the creation and functioning of the US and worldwide economies are solely for the benefit of the 1 percent, and always at the expense of the 99 percent. You can see from the graph above the rich are stealing $17,867 from every working American, and they do this year after year after year. I think it’s time we get a little of our money back. 5. Wealth inequality is also near an all time high in the USA, and this means (along with income inequality) the rich can afford to buy the services of more politicians, which has already effectively turned our democracy into both an illusion and a myth, and this occurred perhaps as early as 1981. 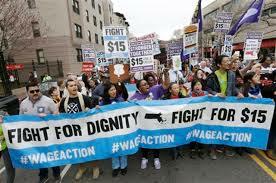 Raising the minimum wage would cut away a bit of the economic cancers known as wealth and income inequality. The corporate talking heads will also insist raising the minimum wage will result in lost jobs, but there are plenty of studies showing not a whole lot on this issue. Most studies on this subject during the last twenty years show a rise in the minimum wage has a negligible impact on job loss, or jobs experience slight growth. On the other hand, most minimum wage increases that have been studied have been minimal and very local. However, all of this is irrelevant because there is one gigantic study that shows that when the real wages of the 99 percent go up, so too does the US economy, and not just for the benefit of the few. This study is called the history of the US economy. 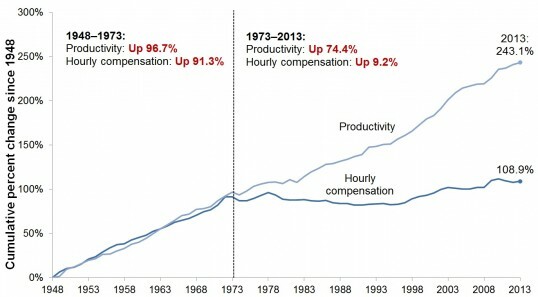 Notice in the graph below real wages grew in the US economy from 1948 to 1978. In reality, you can go back to 1938 and see the same stuff. Inflation was low and job growth was high during the years 1938 to 1980. The middle class was strongest then, and demand for US goods was incredibly strong, especially the demand from US citizens. Even the rich got richer, although the percentage of income and wealth they could steal from the rest of us was small compared to today. Corporate talking heads will always lie and say raising the minimum wage will increase inflation. 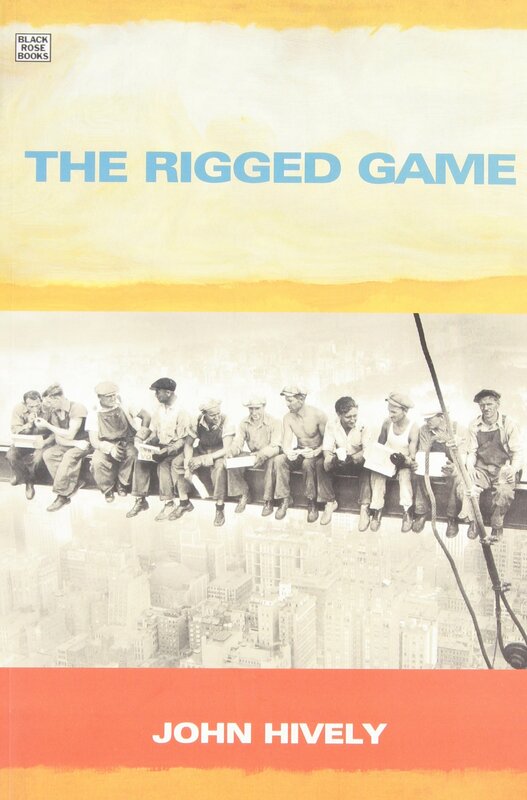 In reality, allowing the financial markets to rise in bubbles creates inflation, as I pointed out in my book, The Rigged Game. Now some people will say inflation was fairly high during the 1970s, and yes that is kind of true, and then kind of not. That’s because the US government has changed the way it measures inflation twenty times since 1981, and every change has the intended effect of lowering the rate of inflation. In other words, if inflation is 1.5 percent nowadays, using the methodology of 1975, today’s inflation would be about 6 percent. Average yearly inflation during the 1970s was 7 percent, and so using today’s inflation methodology, inflation during the 1970s would have averaged about 2.5 percent, which isn’t all that much. You can also see from the graph above how real hourly wages have stagnated since 1978, but of course, that’s a lie since real wage increases are measured against inflation, and we know inflation is no longer measured like it used to be. If inflation over the last 35 years was measured with the methodology used by the US government in 1975, US inflation would be significantly higher each of those years, and real US wage growth during this period would be negative, year after year after year for the last thirty or more years. This means real wages are significantly lower nowadays than the available statistics will allow us to measure, and this, of course, is one of the reasons why the government changed the way it measured inflation: it stops us from seeing how much we of the 99 percent are getting screwed by our corrupt government in redistributing our income and wealth to the 1 percent. I don’t know about you, but I want my money back! Raise the minimum wage! Federal Reserve Chairman Janet Yellen announced Wednesday, December 16 that the Fed will raise short term interest rates by .25 percent. That means interest rates are going to rise for the 99 percent; from 15 to 17 percent on credit cards, for example. Home mortgage rates, car loans, home equity credit lines, and student loans, among other loans, are going to rise. Home mortgage loans will rise from about 3 percent to roughly 5 percent. Yet there are no signs of an inflationary spiral, which would in theory spur the Fed into raising rates, which is one of its falsely stated goals. 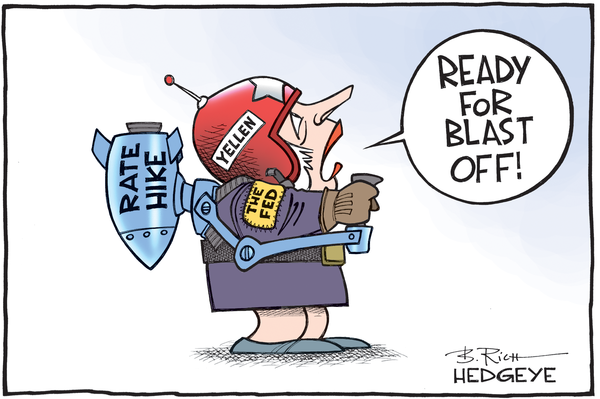 Then there’s high (but not too high) employment, another cherished and false goal of the Fed. For the last six years the US economy has been creating less jobs every year (and with declining wages) than occurred under that alleged dreadful president, Jimmy Carter, whose four years as president also included rising real wages. Carter did this with an economy and population about half of today’s economy. Preliminary indications are that the US is headed toward a recession deeper and longer than the last one, and we should arrive there somewhere between seven and seventeen months from now. The Fed’s actions exacerbate these indications by redistributing income from the 99 to the 1 percent, curtailing demand, and hurting the economy, such as a US durable goods sector that is clearly in recession. So what gives? What is the Fed up to? Despite false statements to the contrary, the Fed actually has pretty much followed only two goals throughout its history, and its latest move is a classic example of this. One goal is to protect the profits and share prices of the big banks, and number two is to protect wealthy investors from their own bad investment decisions. Everybody else is expendable when the Fed undertakes its responsibilities. In other words, the 99 percent is expendable, and often the victims, of the Fed’s actions on behalf of its unstated goals, which is to financially protect the rich. And so in this most recent Fed action, the Fed is doing its first duty; increasing the earnings and share prices of the big banks at the expense of the 99 percent, which makes it seem, quite accurately, that the relationship between the Fed/Big Banks and the 99 percent is akin to parasites unto their hosts. Your higher credit payments are going toward greater bank profits, which will provide rising dividends to rich shareholders. Share prices might and should rise, at least in the short term. This is pure income redistribution, and the corporate propaganda network wants you to believe the Fed’s increase in interest rates is to stabilize the economy, or limit non-existent inflationary pressures, or who knows what. But the last thing the corporate press wants you to know is that more of your income is being redistributed by the US Federal Reserve Bank to the rich via higher bank profits, rising shares, and soaring dividends. 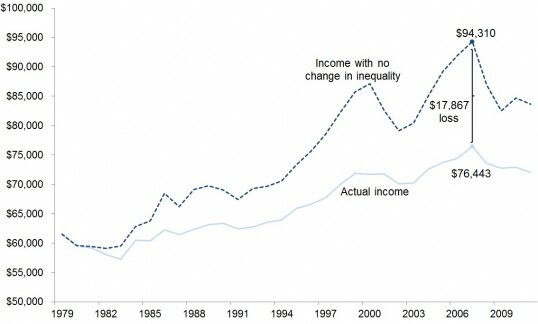 The rich are going to get richer, and you are going to be more poor. The ten biggest US banks have many things in common, and one of them is declining share prices since last summer. Clearly, the Fed’s action is intended to reverse the decline. People earning the federal minimum wage of $7.25 aren’t going out to eat at restaurants because they can’t afford to do so. That’s pretty much true for those who make higher state minimum wages of nine and ten dollars an hours. These people are not taking yoga, piano, or karate lessons. They don’t belong to gyms, and they don’t take part in yoga classes. They purchase few if any new books, and buy clothes at second hand stores, like the local Goodwill. They don’t buy flowers for their mother’s on mother’s day. They’re not purchasing new computers, cameras, tables, chairs, carpets, washing machines, dryers, I-phones, cars, organic food, or houses. They’re not buying a lot of other things. What good are these people to the economy, other than to provide rich people with cheap labor? Like the idle rich, minimum wage workers barely stimulate demand for goods and services. What do low wages have to do to with rich people? Low wages boost profits. As a consequence of that, corporate dividends and share prices go up. People who earn less than $100,000 a year own hardly any shares of corporations. The primary beneficiaries of people working at minimum wages go primarily to the rich. If you raise the minimum wage to $15 an hour, the people who benefit from this raise will be buying a lot of the things listed above and more, even a house in Detroit, Michigan, and elsewhere, as well. And all of a sudden, not just large businesses, but small businesses thrive because demand for goods and services is stronger. Studies over the last fifteen years show that the idea that high wages weakens employment is a myth. There are two fundamental laws of capitalism. One is something about supply and demand, which is often rigged in favor of those who believe and act upon the golden rule; he who has the gold makes the rules. The other rule, which Henry Ford (the founder of the Ford Motor Company) believed was simple: When people have more money, businesses have more customers, and need more workers. This explains why the current economic expansion is the worst since the Great Depression in virtually every category having to do with jobs, wages, GNP, and the things that are important to 99 percent of the US population. Currently, 1 percent of the population has rigged the economic and political games over the last thirty-five years to the point where they have received a legislatively determined 95 percent of all income growth since 2009, the most ever on record. Worse yet, the rich steal 37 percent of all income produced in the United States nowadays, and that figure is growing, and with no end in sight. Rich parasites will soon be larger in terms of total income than their hosts, the 99 percent. Ever wonder why the economy under President Jimmy Carter produced more jobs, raised wages, and had greater GNP growth on average than any year of the last fifteen with an economy that was ½ the size of today, and with a population that was 60 percent the size of today? The answer is simple. Back then, the rich only stole 8 percent of the annual income produced in the United States. That means the rest of us earned 92 percent of all the income created in the USA, which meant demand for goods and services was far more plentiful then than today, job growth was greater, and wages for the 99 percent also rose. Under Carter, the economy created 225,000 jobs a month. Over the last fifteen years, 90,000 has been hailed as an outstanding achievement by President George W. Bush, as well as President Obama. Something clearly is out of whack with the economy, and yes, most of it has to do with the massive corruption of the US government that was unleashed by the Reagan tax cuts. But if income can be massively redistributed from the 99 to the 1 percent, as it has been for the last thirty-five years, then the government can act to redistribute it back to where it belongs, and all for the good of the economy. This can partially be achieved by raising the minimum wage to $15 an hour by 2017. And don’t tell me corporate America doesn’t have the money. Currently, they’re sitting on 7-8 trillion dollars inside the US, while holding another 7-8 trillion outside the US, because the demand for goods and services is so low they have no reason to invest it in new plant and equipment so as to increase production, which would require workers. The fact that corporations are sitting on trillions upon trillions of dollars because demand is slack shows the opposite is true. Every one of those trillions of dollars could be used to create jobs if only the demand was there. The years between President Franklin Roosevelt and Ronald Reagan also show the same thing. If you pay people more, they will purchase more, and everybody will be better off, not just a few politically powerful people. Those trillions of dollars will be used to invest in the production of goods and services. Those trillions also show that US corporations are quite capable of paying their employees more, and not just the already rich CEOs. That’s why it’s long past time to raise the minimum wage to $15 an hour. Besides, if the minimum wage had kept up with productivity (or real inflation) over the last 56 years, the US federal minimum wage would be nearly twenty dollars an hour. Trickle down economics was the lie that said if you made the richer more wealthier, everybody would get richer, and all boats would rise with the rising tide. The American public bought it under a massive media propaganda blitz, and Reaganomics was born. Trickle down economics, in reality, was an income redistribution scam designed to redistribute income from the 99 to the 1 percent, and, as you can tell from the graph above, it has worked really well. It all began with President Ronald Reagan and his tax cuts for the rich. Thus ended the most prosperous period for the middle and lower classes in US history as trickle down economics sucked more and more of their income, like a vacuum cleaner, right up into the pockets of the affluent. The affluent used their new found purchasing power via the tax cuts to corrupt government to the maximum. They bought legislation to redistribute income into their already fat wallets. In short, that’s how we got to where we are today. The worst economic expansion in terms of job growth in US history. The worst economic expansion in terms of wage growth in US history. The best economic expansion for the rich in US history, where 95 percent of all wage growth has gone to the 1 percent since 2009. The top 1 percent steal 37 percent of all income produced in the United States, compared to 8 percent in 1980, when Jimmy Carter was president. There are some interesting things we can now see that have remained clouded to our eyes due to the media propaganda. It makes one understand that Jimmy Carter was the last great US president. Everybody else has been a puppet of Wall Street. Under Carter, wages rose, and more jobs were created per year on average than under any other president since. He also staged a diplomatic coup when he engineered the Camp David Accords. Makes you wish for the good old days doesn’t it? Sure, Carter had a few failings. There was relatively high inflation. You know, something like 6-8 percent per year. Carter appointed Paul Volcker to head the Federal Reserve. Volcker jacked up interest rates until the Fed crushed inflation. So Carter should be given credit for eliminating the 1970s inflation during the early 1980s, when he was already out of office. But guess what? The federal government has changed the way it measures inflation 20 times since Reagan took office, so that unofficial inflation today is running at 6-8 percent. The government no longer counts energy and food prices, like it did back then. That’s why a can of tuna has increased in price from 3 for a dollar to 1 for a dollar over the last five years, and it isn’t among the items the government uses to determine the official inflation rate. 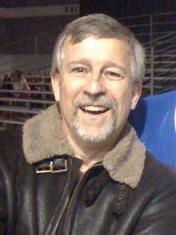 Note: the corporate press is already launching the counterattacks to what Jim Clifton wrote on his blog. Jim Clifton, CEO of the polling service Gallup, has reported what we already know: the US government understates the unemployment rate. This is done so as to make the economy appear better than it is. The Big Lie is true of a lot of things. For instance, the news media, the president, and Wall Street are trying to push through the largest international income and political power redistribution agreement in world history called the Trans-Pacific Partnership (TPP). They’re calling it a free trade treaty. The government, the media and Wall Street also push the Big Lie with inflation. Since 1983, the government folks have changed the way it measures inflation twenty times, and each time the government has done this, the inflation has been made smaller than it really is. If inflation today was measured the way it was in 1980, inflation would be about 5 percent. And if gasoline prices were stable, rather than heading downward, the inflation rate would be about 8-10 percent. There’s a reason for this Big Lie. Keep prices and profits going upward without alarming the 99 percent. The safety of GMO foods is another Big Lie perpetrated by the big three. President Obama and others tell us they’re safe. However, numerous peer reviewed academic studies show tremendous potential for GMOs to human health, which has been linked to autism, cancer, tumors, allergies, liver damage, sexual organ damage, and numerous other maladies. Just check out the shocking Fox News Video about GMOs below. The corporate press is launching a vicious counterattack against Clifton and his blog post. That’s their job, to discredit anyone who questions one of the corporate news media, government and Wall Street Big Lies.